In this menu, you may read year by year the success stories of the men and women who dared to be entrepreneurs and explore the unknown. 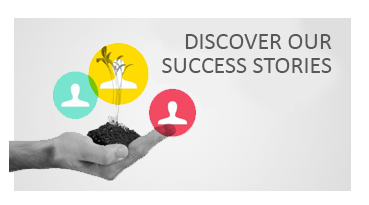 Whether it was a new concept, a new methodology or a disruptive research project, these success stories highlight the results of high-potential, high-risk projects. ERC laureates affiliated with a Grenoble Host Institution are listed year by year from 2007 to 2016. Each laureate presentation includes a summary of their project. Check back soon to discover the 2017 ERC laureates.